Date posted: June 20, 2014 by: JasonDarkX2 Category: Gaming Reviews one comment. 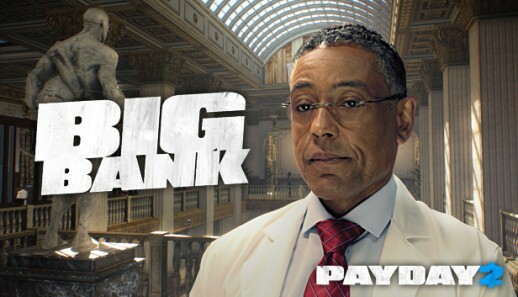 Well finally the day has come for you and your friends to tackle one of the biggest heist of your Payday 2 careers in The Big Bank heist contracted by the dentist. Just like any big heist movies, a lot goes into planning if want things to go smoothly when you're going to rob a bank with a massive vault. 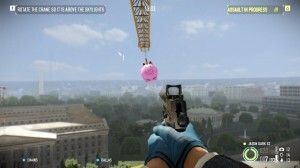 But in the universe of Payday 2 nothing is impossible with little clicks here and there, are you ready for the challenge? But wait, does the value of the Big Bank Heist DLC live up to its price tag, you might ask? Ah well for $6.99 what you'll get is 1 heist, 1 gun, 4 masks, 4 patterns, 4 materials. But wait like armored transport heist DLC you don't actually need to own the DLC to play as along someone who owns the DLC is hosting. Well crinkle this review and out the window it goes lol. Nothing is better than trying it yourself. But in my opinions being able to host yourself and inviting friends is more often desirable, than sitting in the crime.net lobby waiting for choice of overkill or death wish big bank heist to pop up. 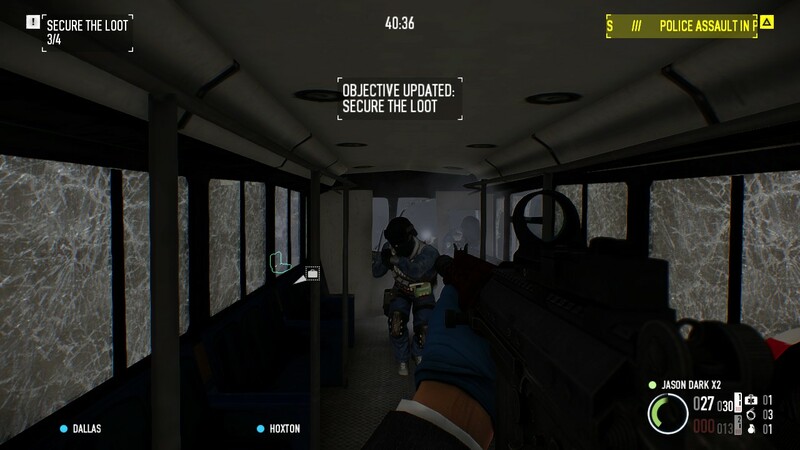 The heist is itself is actually really good with four player co-op in mind, playing it solo is kind of a drag. 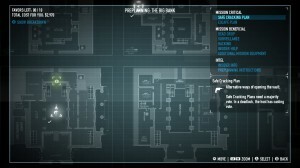 Big Bank heist introduces a pre-planning feature which lets you and your crew determine how to execute the heist, you can place ammo/medic bags where you want, call in a helicopter for extraction or have a bus crash through a wall, and other little things like extra key cards, cable ties, leave doors open, etc. all at the cost of favors points of course. 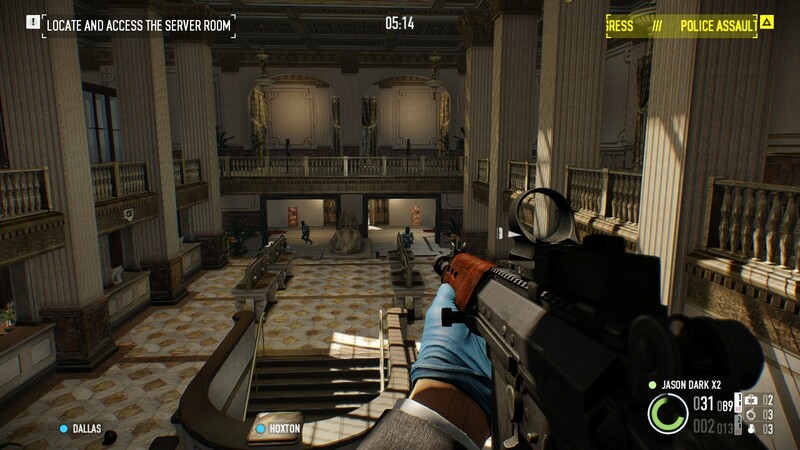 Being able to alter the heist makes Big Bank the most customize heist in Payday 2 to date, paired with the RNG system making it even more playable. In terms of game play Big Bank offers both stealth and loud approach, with each approach playing out really well too. Taking the stealth will probably require you to spend favor points extra key cards, cable ties. Open doors, food poison for less guard spawns, and a stealthy escape. 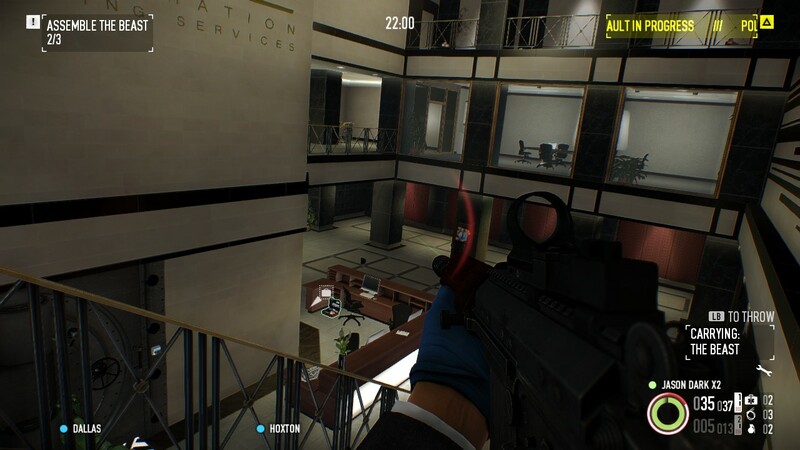 Since it's a big bank there are lots of civilians, securities, and lots of cameras to cramp up your stealth. 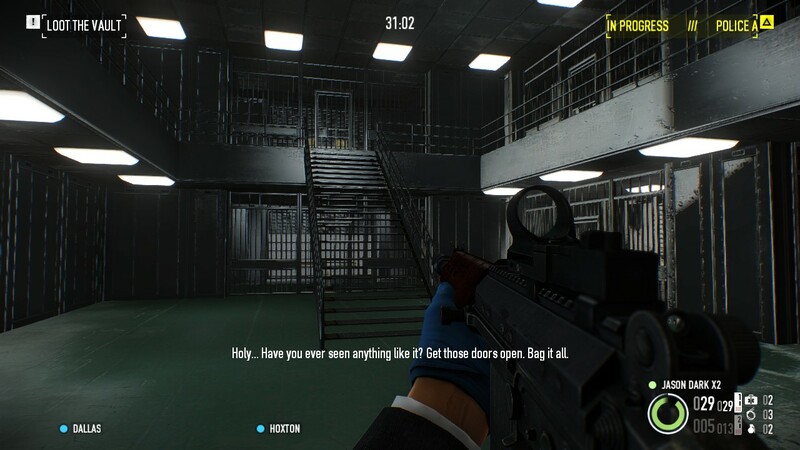 The heist has four stage step one is finding the server room, step two hack the security lock on the door, step three unlocks the vault, step four escape with the loot. 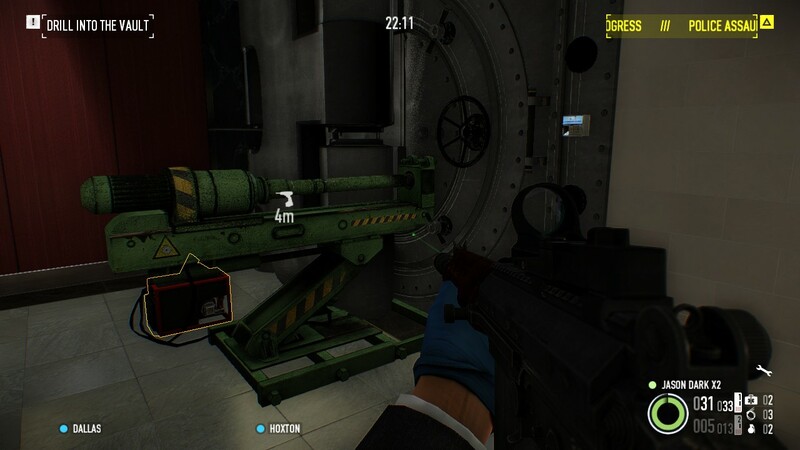 On the other hand playing it loud requires a bit more extra steps such as restarting time lock on the door, dropping a big piggy bank storing parts for a drill to get into the vault, then moving 20+ loot bags to the Evac point while under fire makes for some tense escape moments. Personally I find going loud is the most enjoyable, with lots of cops spawning during assault waves creates some awesome fire fights between heist objectives. While playing big bank stealthy is certainly a good challenge, but the payout isn't that great so why bother lol. The other little goodies bundled in this DLC such as a new gun; heritage mask and customization set don't actually make up the worth of DLC which is currently priced at. The Falcon Rifle a primary assault rifle surprisingly when fully upgraded with mods, almost have the exact same stats as the heavy eagle. While the Falcon isn't as pretty looking as the heavy eagle, its extended mag mod one ups the heavy eagle, making it a good choice of primary for those who own or don't already own heavy eagle from the Gage weapon pack #1. Masks are by default grey and have a faint touch finger print pattern. Which was kind of disappointing, seriously trying to customize someone face in Payday 2 is simply isn't that great. If the masks were in color like the ones in armored transport heist DLC ones it would certainly better. Mask patterns are alright, the materials are more appealing especially that metallic red called Gemstone is useful for some appealing mask combinations, reusable and unlocked through achievements. 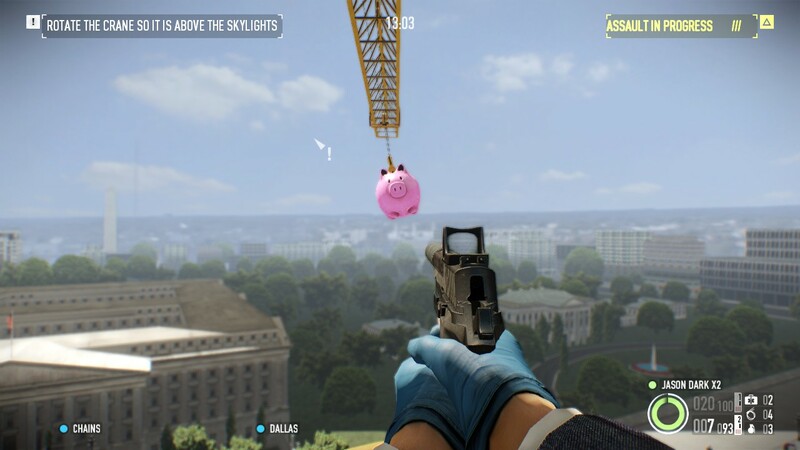 Overall the big bank heists DLC pack is totally worth it for the amazing heist that's worth having to play with friends if don't already own Payday 2 on PC. As for the other goodies that come bundled in this $6.99 (USD) pack is either a love or hate. If you can get it now I would totally recommend it and join in the fun with fellow heisters unless you're waiting 6 months for an epic sale. Chance for large scale shoot outs. Satisfying playing loud and stealth plans. 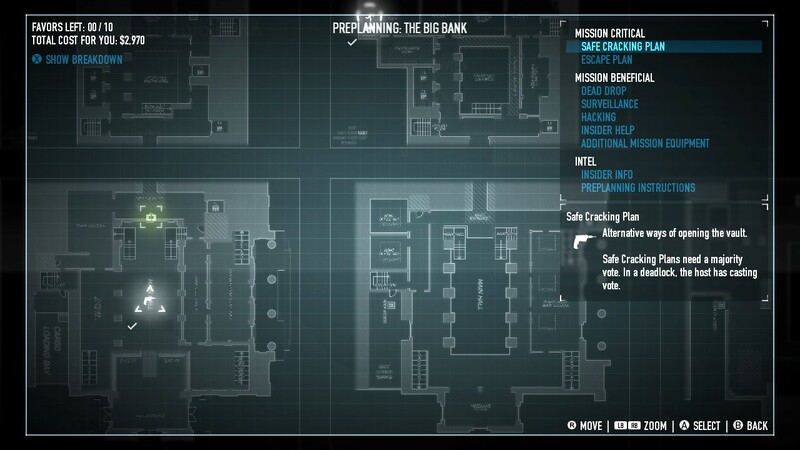 planning allows customization of heist opening up to different possibilities. Not really built well for solo play with bots. Playing solo can be though on higher difficulty. Masks bundled isn't that great with finger print texture. trying to loot the entire vault solo can be a chore. Being the same price as armored transport with less content may be unappealing to some.